New Delhi, Dec 14 (IANS) It doesn't get bigger than this for A.R. Rahman. The double Oscar winning Indian composer has bagged a Golden Globe nomination for Danny Boyle's "127 Hours", having already won the trophy once for the director's mega sweep "Slumdog Millionaire" in 2009. This is the 44-year-old's second flick at Hollywood's second most prestigious annual movie prize after Boyle's Mumbai-based multiple-Oscar award wining underdog drama "Slumdog Millionaire". Rahman won two Oscars and a Golden Globe for his number "Jai ho" in the movie. The Chennai-based composer is competing in the same section as before - Original Score for a motion picture category - with the likes of Alexandre Desplat ("The King's Speech"), Danny Elfman ("Alice in Wonderland"), Trent Reznor and Atticus Ross ("The Social Network"), and Hans Zimmer ("Inception"). Bollywood was on cloud nine with its leading musician's feat. 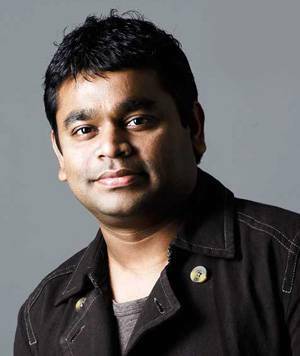 "AR Rahman nominated for Golden Globe for '127 Hours' score. Marching to another Oscar?" tweeted filmmaker Shekhar Kapur. The soundtrack of "127 Hours" includes the popular song "If I Rise", a collaboration between Rahman and pop star Dido. Starring "Spider-Man" star James Franco, the movie is a biopic about mountaineer Aron Ralston, who was trapped in a canyon in Utah for five days by a boulder that fell on his right arm and he freed himself by amputating the limb. Ralston recently even complimented the composer on his music in the film by sending him a hand-written note. It read: "For A.R, Thank you for bringing your amazing music to my story - if only I had your soundtrack in the canyon, I could've lasted another 127 hours. Best Wishes, A.R. (Aron Ralston)." Fondly called the Mozart of Madras, Rahman was honoured with a Padma Bhushan this year. The shy musician also has two gramophones on his shelf that he won at the 52nd Grammy Awards for his music in "Slumdog Millionaire". The only defeat he had had was at this year's Oscars ceremony when his number "Na Na" from his Hollywood debut venture "Couple's Retreat" failed to win a nomination in the Best Original Song category at the gala.